Ready to Howl, Kansas City? Howl at the Moon is the #1 nightlife spot that’s keeping the Power and Light District dancing! Part bar and part concert, Howl creates a non-stop party with live music performed in a high-energy setting. Get on the dance floor and join our talented musicians in rocking out to your favorite songs while trying our signature 86oz buckets of booze! You’ll hear everything from classic rock to hip-hop to pop. It’s the best nightlife Kansas City has to offer! 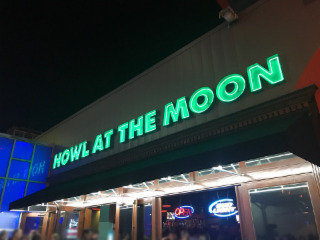 Howl at the Moon’s energetic and interactive setting creates the perfect atmosphere for any type of special events in Kansas City. It doesn’t matter if you’re celebrating a bachelorette party, birthday party, or planning a corporate event, any group event at Howl at the Moon is guaranteed to make for a memorable night. It’s the most fun you’ll have dancing and singing in Kansas City!